Organizations now have the option to choose between cloud and on-premises desktop management tools. 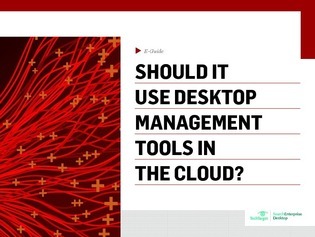 Both options come with pros and cons, so how do you know which desktop management tool is best for your organization? Download this e-guide to take a look at the use cases, features and pricing options for each and choose the best option for your organization.